Pacifico Minerals has released an updated prefeasibility study for its Sorby Hills lead-silver project in Western Australia. 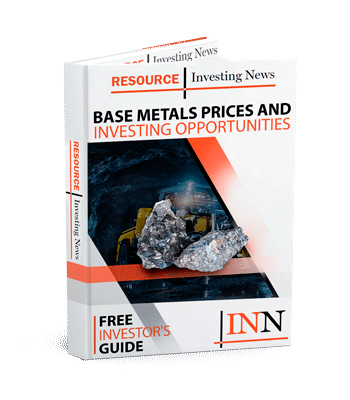 Pacifico Minerals (ASX:PMY) has shared an updated prefeasibility study (PFS) for its Sorby Hills lead-silver project in Western Australia. It lays out a pre-production capital price tag of AU$95.4 million. Highlights from the PFS also include a pre-tax net present value of AU$243 million with an 8-percent discount rate and a pre-tax internal rate of return of 62 percent. The project, estimated to have an initial eight-year open-pit mine life, is expected to be a 1-million-tonne-per-year operation, with concentrate production rates of 249,000 tonnes of lead and 9.35 million ounces of silver. The updated PFS comes after Pacifico upgraded Sorby Hills’ mineral resource estimate in early March. The resource estimate upgrade saw an 82-percent increase in the global resource to 29.97 million tonnes of 4.7 percent lead equivalent and 0.6 percent zinc and a 123-percent increase in the indicated resource to 10.85 million tonnes of 5 percent lead equivalent and 0.4 percent zinc. “Following a substantial upgrade to the mineral resource estimate in early March 2019, the economic outcomes of this study are compelling and represent an important milestone towards the development of Sorby Hills,” Pacifico Managing Director Simon Noon said in a statement. Sorby Hills is a joint-venture asset that Pacifico holds a 75-percent stake in, with the other 25 percent belonging to Yuguang (Australia), a subsidiary of Henan Yuguang (SHA:600531). According to Pacifico, the company is currently discussing offtake agreements with Yuguang, as its parent company is the largest lead-smelting company and silver producer in China. Going forward, the company has an infill drilling program planned for May 2019 with the goal of further upgrading the mineral resource estimate and completing an optimized PFS. It also plans to advance discussions with potential project financiers, and to begin a definitive feasibility study for the project. Pacifico’s share price was up 20 percent on the ASX on Tuesday (March 26), ending the day at AU$0.006. As of Monday (March 25), lead was trading at US$2,007 per tonne on the London Metal Exchange.